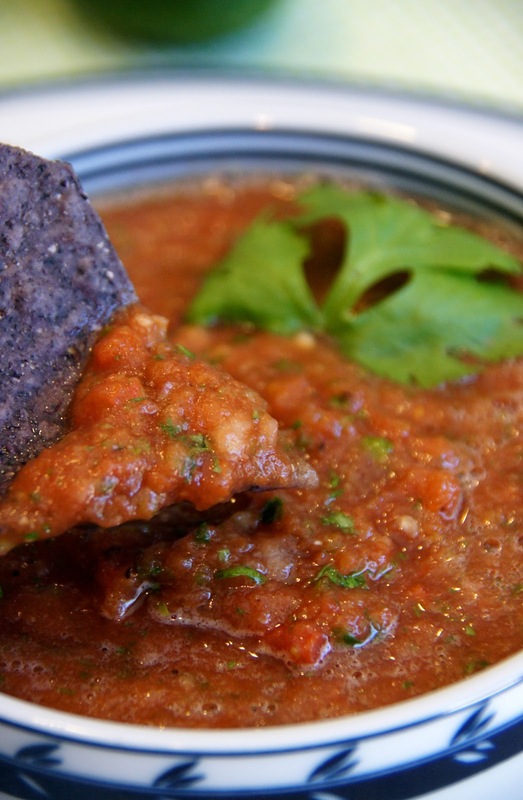 There's just something about going to a Mexican restaurant and snacking on chips and salsa while you wait for your meal. It is soooo goooood! 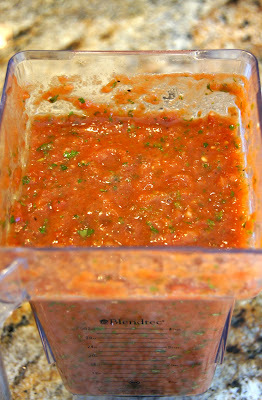 You can never purchase salsa as tasty as they serve in a restaurant... but now you don't have to. This salsa that will put restaurants to shame! 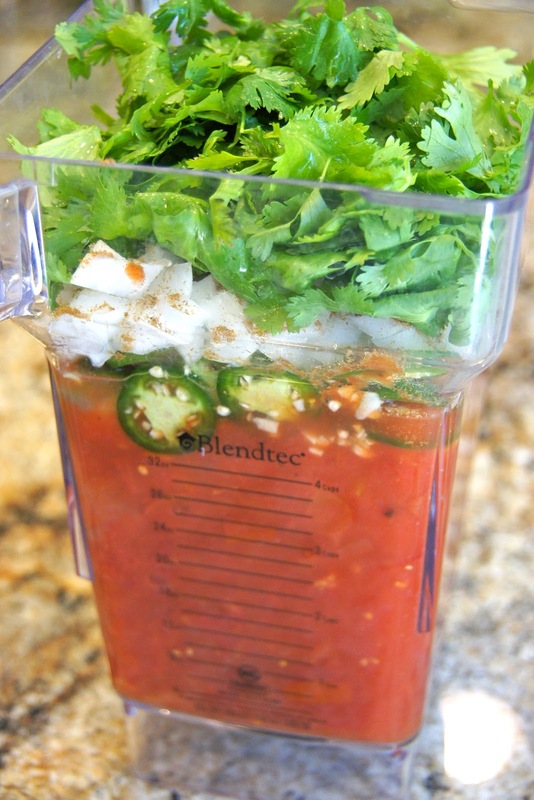 Place all the ingredients into a blender or food processor. Pulse until desired consistency is reached. It doesn't take much. 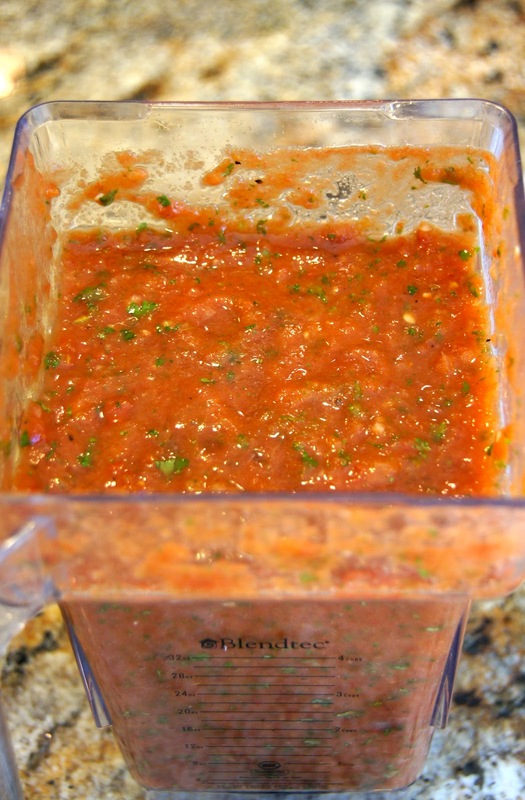 I like a slightly chunky salsa, so I only pulse my Blendtec blender about 4 times. Taste with a chip and adjust the seasoning as desired. Allow to chill at least one hour before serving...if you can wait that long!